LaPaDD has tested and approved this ultra-easy-to-use product (a cousin of the paper clip with suction cup): the suction cup is finely crafted, the German-made binder clip functions impeccably. 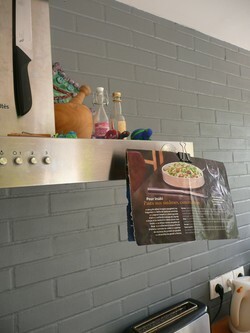 This suction cup binder clip offers a wealth of creative possibilities, provided it is affixed to a flat, smooth, clean surface. 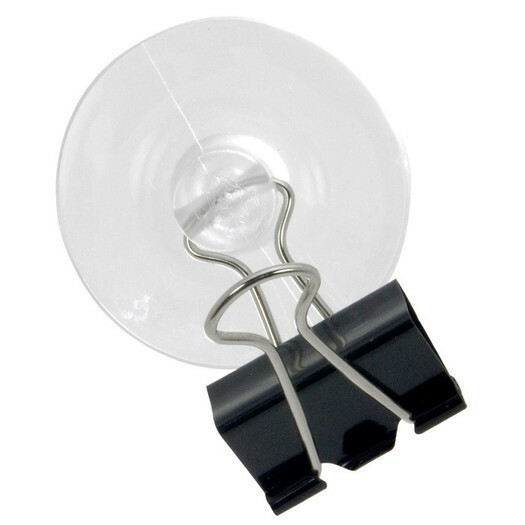 simplicity: the binder clip is attached directly to the suction cup—about as simple as it gets. And as everyone knows, the simpler it is, the better it works. versatility: at the office, in the house, and even in the car, this product—friend of glass and other perfectly smooth, flat surfaces—can be used just about anywhere.